All Swirl® nozzles are also suitable for 900 watt vacuum cleaners! So that you don't wake up in allergenic fine dust! 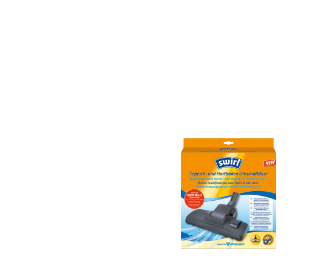 Swirl® vacuum cleaner bags were rated best! All three tested Swirl® bags (M 40®, PH 96®, S 73®) found to be equal to the original bags. 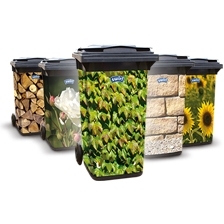 Our bin liners stand out due to their tear resistance and leakage proofness. New and even more professional: Swirl® heavy duty waste sacks, extremely tear proof and leak proof. No clear view? It doesn’t have to be that way! New Swirl® lens cleaning tissues with anti-fog protection are ideal, whatever the weather. New! Only in the Swirl® Online Shop! Always a clean idea! For a lime-free and bright household. NEW: All Swirl® nozzles are also suitable for 900 watt vacuum cleaners! 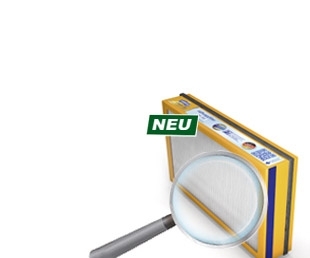 With improved dust absorption technology and the best possible suction quality.